David Cameron has given another Cast Iron Guarantee™ of an EU referendum and says he won't be Prime Minister if he can't deliver one. Cast Iron Dave (as we like to call him) says that he thinks it's important he carries out several years of negotiation before holding a referendum and is confident that he can get meaningful change because the eurozone countries was more changes to support their fiscal union. He says that regardless of the outcome of his negotiations he'll hold the referendum anyway and that's a Cast Iron Guarantee™. 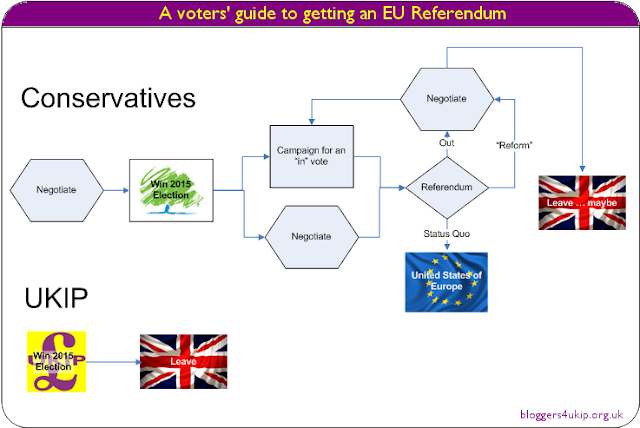 Is negotiating before a referendum useful? For Cameron it is, yes. He can "negotiate" some superficial changes to the EU that will be ultimately meaningless and cost us more of our sovereignty and money and the spin doctors can package it up as a big coup for David Cameron and a major blow to the EU's plans for ever closer union. Under Article 50 of the Lisbon Treaty, once we tell the EU that we're leaving we then have to spend the next two years negotiating to see if there's a way we can be convinced to stay. Negotiating now is only useful if you need propaganda for the campaign to stay in. Can meaningful change be achieved? Since the Lisbon Treaty was signed we have to give two years' notice that we're leaving and we're required to spend those two years negotiating with them. It's during those two years that any meaningful negotiation might take place, not before it and not when Cameron has already told the EU that he wants to stay in and will campaign for us to stay in regardless of the outcome of his negotiations. 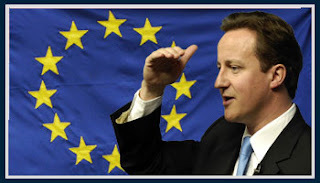 The threat of a referendum on our membership was Cameron's ace card and he wasted it by very publicly announcing that he would want to stay in the EU regardless of the outcome of negotiations. It doesn't matter that the eurozone countries want change as well because what they want is more integration and more power for the EU, not less and there is no legal mechanism for taking power off the EU, only to give it more. Will we ever get a referendum? Doubtful. We had a Cast Iron Guarantee™ of a referendum on the Lisbon Treaty and it turned out to be worthless. Cameron whipped his MPs to vote against a referendum in 2011 when it finally got to parliament after a 100,000 signature petition forced the issue to ensure that no referendum took place in this parliament. He got a Bill through parliament to legislate for a referendum in 2017 if the Conservatives win the next election outright which is extremely unlikely and any politician that feels the need to pass a law to make them keep a promise clearly can't be trusted anyway. Not that the law will actually force him to hold a referendum anyway because as we saw with Labour's pinky promise law not to introduce the university tax in England in 2001, laws can be repealed as easily as they're made when you have an outright majority.